The Ministry of Finance ordered raising of the minimum price of vodka by five rubles to 190 rubles ($3). As illegal operations to produce Vodka are shut down, legal distilling of the famed alcohol rises. Russian distilleries produced 6.5 million decaliters of alcohol in April 2016, around 30.4 percent more than during the same month a year earlier. In May, 6.3 million decaliters of alcohol, or 29 percent more than 2015, were produced, wrote the Vedomosti business daily, citing the Russian Federal State Statistics Service. The sudden rise in production volumes has happened after an illegal production scheme in the North Caucasus was shut down. In February this year, representatives of the Federal Tax Service and the Federal Security Service conducted searches across 11 distilleries in the Kabardino-Balkaria Republic, and the offices of low-cost vodka distributors Status Group and several wholesalers. These companies had registered significantly higher levels of production in the Unified State Automated Information System (USAIS) than in their declarations. This has led to an increase in unpaid taxes, which currently total 24 billion rubles ($37.6 million). Whiskey or vodka: Which drink will dominate? The deficit appeared in April and May when the excise for vodka produced in February and March were due. The collection of alcohol taxes from January 1 until June 22, 2016, in comparison with the same period in 2015, has increased by 17.4 percent to 123 billion rubles ($1.925 billion). Vodka taxes did not increase over the past two years although they doubled from 2011-2014. Universal introduction to the USAIS system began only in 2016. According to a source cited by Vedomosti, while illegal vodka used to occupy approximately 20 percent of the market, the legal market for the alcoholic drink will now grow by 15-20 percent and could reach 80 billion decaliters. 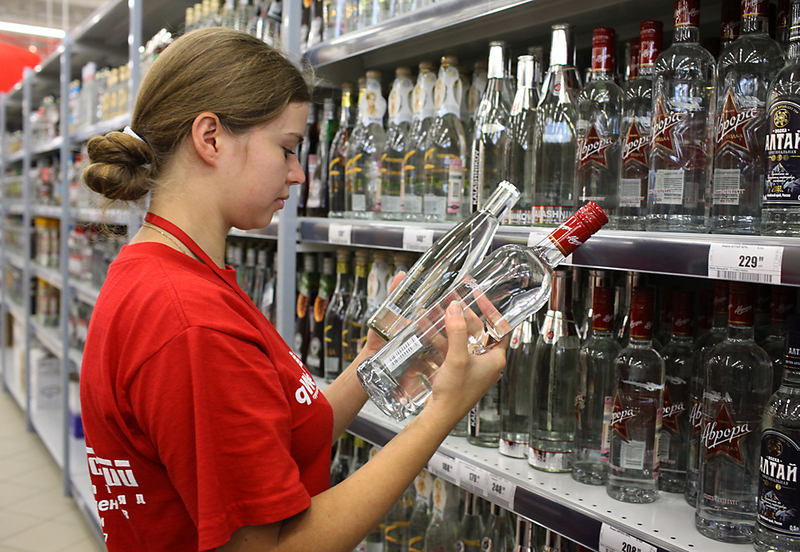 The Ministry of Finance on June 13 ordered raising of the minimum price of vodka by five rubles to 190 rubles ($3). Victor Zvagelsky, deputy chairman of the Economic Policy Committee in the Duma, thinks that the Ministry of Finance order will not have a significant impact in the campaign against counterfeiting.